With over 1500 installations worldwide, eMenu’s extensive experience means a better experience for you, your staff and your customers. For starters, implementing a completely new way to present your cuisine, desserts, wine and beverages is an important change. It’s far too important to trust to just anyone. With eMenu, you’ll have peace of mind knowing that absolutely nothing will be overlooked. As the most experienced provider in our field, eMenu knows how to assess your needs. 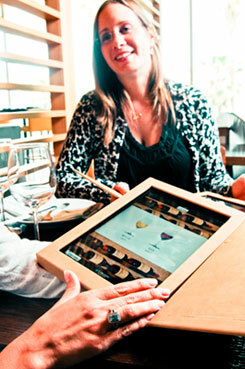 We’ll develop interactive menu solutions that will increase your profits while enhancing the prestige of your brand. Then, make sure the implementation process is seamless, hassle-free and comes with no surprises. When all is said and done, our state of the art, interactive menu software is so intuitive, our iPads will seem like mind readers. This experience will delight your customers and strengthen your brand.